Is 2019 the year that you take control of your Pelvic Floor, return to jumping/running/sneezing with confidence? Is 2019 the year that you finally address that nagging low back pain or get a deeper connection to your inner core power and a body that moves without pain, strain or gain? If YES, then read on! Enjoy 12 wonderful weeks of movement, nutritional guidance and education regarding your Pelvic Floor, Core and women's fitness/wellness at whatever life phase you're in on this unique Holistic Core Restore® 'Everywoman® programme . 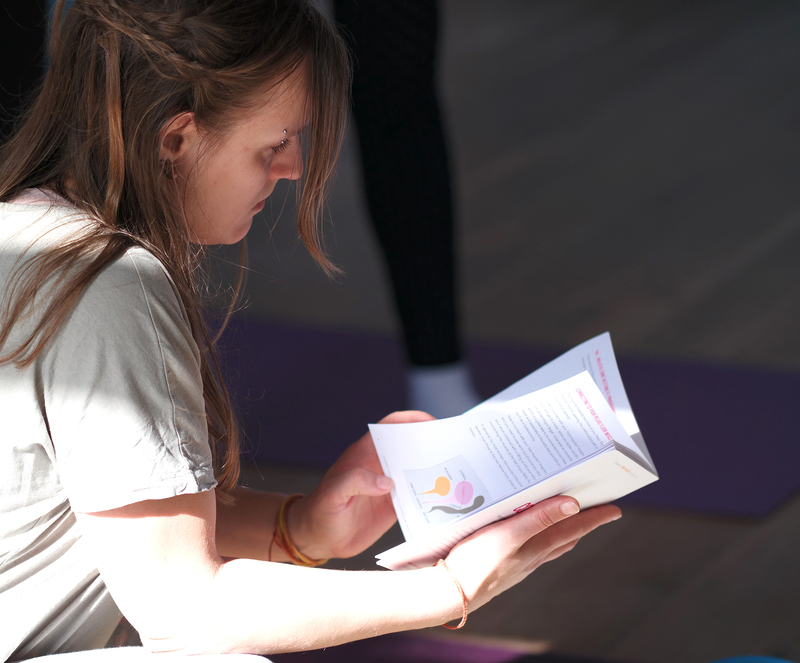 The programme is adaptable for virtually all women and is designed to 'bring you back home' to your amazing body with your Pelvic and Core Health at the centre of our focus. 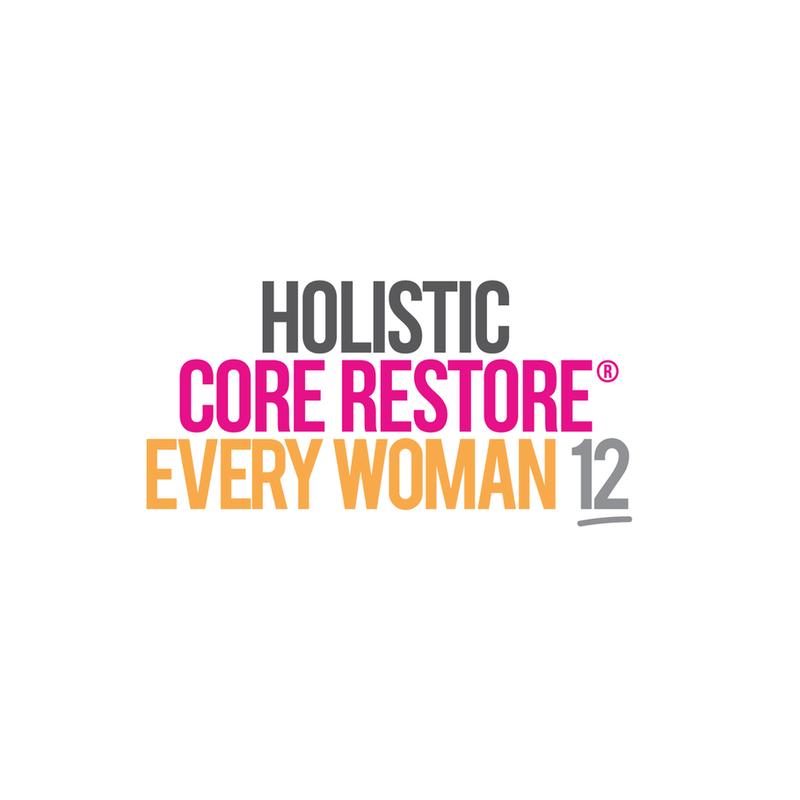 The Holistic Core Restore® 'Every Woman' programme truly is a gift that keeps giving and one that EVERY WOMAN should give herself at least once in her lifetime! Are you a woman who wants to have a stronger and better functioning Pelvic Floor that does its job when you jump, sneeze, cough, laugh or run? Are you a woman who wants to reconnect to your Core and have a better looking and stronger belly? Are you a woman who has 'lower back pain' issues and been told is due to a 'weak Core' and so you need an easy to do and time efficient exercise programme that actually works? Have you been performing your 'squeeze and lift' exercises fairly regularly but still don't have the confidence in your Pelvic Floor you think you should? Are you a woman that wants an easy to perform ANYWHERE, modern and effective way to strengthen her abdominals, back and Pelvic Floor that will last a lifetime? Do you have a small Diastasis Recti (Tummy Gap) after Pregnancy (no matter how long ago) that you want to heal? Do you want to return to jogging, running or more athletic activities but lack confidence because of small leaks? 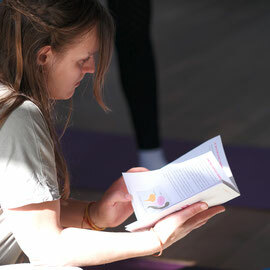 Do you want to go deeper and work smarter than just doing sit-ups and planks? Are you ready to prioritize this area of your health and learn ESSENTIAL exercises that will last you FOREVER! Do you want to learn the importance of food for not only to help you lose any excess pounds but to help you nourish your Pelvic/Core and overall health? Have you seen a clinician about a slight or low level Prolapse and been told to 'do your Pelvic Floor exercises' as part of your management strategy but you don't know where to start? Have you had a Hysterectomy and now feel out-of-touch with your Core and Pelvic Floor and both want to and need to start exercising again but know you need supportive strategies? Are you fed up about being in the dark about your own body and really want to take the time to understand how you can support it to work better? Are you ready to learn the importance of 'rest' and 'self-care' in your wellness journey and take an hour a week JUST FOR YOU!? So, How Does the Programme Work? When you're sure you want to join the programme and have paid below to hold your spot, you'll be asked to complete our online HCR® Pre-Screening to ensure that this safe and 'conservative' exercise-based programme is right for you and to get a better idea of your individual needs. You'll then connect with your Coach to discuss the Pre-Screening and go through a few simple tests for your Core Function so that we know where you are on your health journey and so that the programme can truly be tailored to your needs before we begin the group sessions. You'll then be all set to attend for your first session where you'll receive your HCR® Client Education Booklet and the key items of fitness kit required for the course and BEGIN YOUR JOURNEY TO AWESOME PELVIC AND CORE HEALTH AND FUNCTION! There are a maximum of 10 places on each course, so if you truly feel this programme is for you, please don't delay in getting in touch for more information or simply signing up below. WHY Does This Programme Get Results? In short, those 'squeeze and lift' exercises also known as Kegels, simply aren't the whole story. Your Pelvic Floor and Core muscles don't exist in isolation and separate to the movements of your whole body and your breath. And so for your Pelvic Floor and your entire Core to work as it was designed to, we need to re-introduce it to the rest of your body and get it to do its job in time with your breath and movement and whilst your not necessarily 'thinking' about it as well......just like it used to do before you had babies or before you reached the Menopause. This programme takes into account both CONSCIOUS Pelvic Floor and and Core work and UNCONSCIOUS work too through movement timed with your breath. It's kind of the 'belt and braces' approach and ultimately.....it's effective in 6 weeks, it's time efficient and thousands of successful and happy women testify that IT GETS RESULTS! You'll also receive your login details for the HCR® Online Platform via email which will allow you to log in and view your additional filmed homework and Healing Nutrition education film and download our colour Recipe Book. Both homework and following the HCR® Nutrition Guidelines are an essential part of the puzzle and when followed will truly improve your results and the value you derive from the programme. Kruidenenzo or Het Eiland, in Groningen. Both are centrally located to the Groningen City Center. Includes your both your online and 1-1 Pre-Screening BEFORE your attendance of the class, your 'keep forever kit' - Pilates ball, Dynaband, mini-band, foot massage ball and 24-page colour Education Booklet PLUS Eternal Access to the online Follow-Along Homework Exercises portal and your colour Holistic Core Restore® Nutrition and Recipe Colour PDF Download. You may also like to take advantage of the COMPLIMENTARY Facebook Support Group for the class where current and past attendees have community and communicate with each other and Jenny and get help with any queries in between the classes and can take advantage of additional live-streamed classes too. This programme runs for 6-weeks and you will meet with your Coach once per week and complete your online homework, which is approximately 10 mins in duration, guided by Jenny Burrell, the programme creator, a further 2-3 times throughout your week. The live class and homework exercises are progressed and so over the course of the duration of the course, as your strength and co-ordination improves, the exercises will become more challenging. You can also follow this programme either live or via Skype, and as part of a small group of women or 1-1 with your coach on request. Would you like more information for an opportunity to talk with me? I'm based in Groningen just off the Zuiderdiep, Het Eiland, so happy for you to drop in to see me if you'd prefer to meet face-to-face. After your payment has gone through PayPal, you'll see a page that confirms your payment and your place on the course alongside the link for you to access the Electronic Pre-Screening form. Please complete this form, hit SUBMIT and I'll be in touch shortly thereafter to discuss our next steps before you attend class.